Home Entertainment Hoax Death News Warning: Farida Jalal Is Alive or Not ? Hoax Death News Warning: Farida Jalal Is Alive or Not ? Is Farida Jalal Dead or Alive? : Death news started spreading in Indian Social media which is actually originated from Pakistani Twitter accounts. 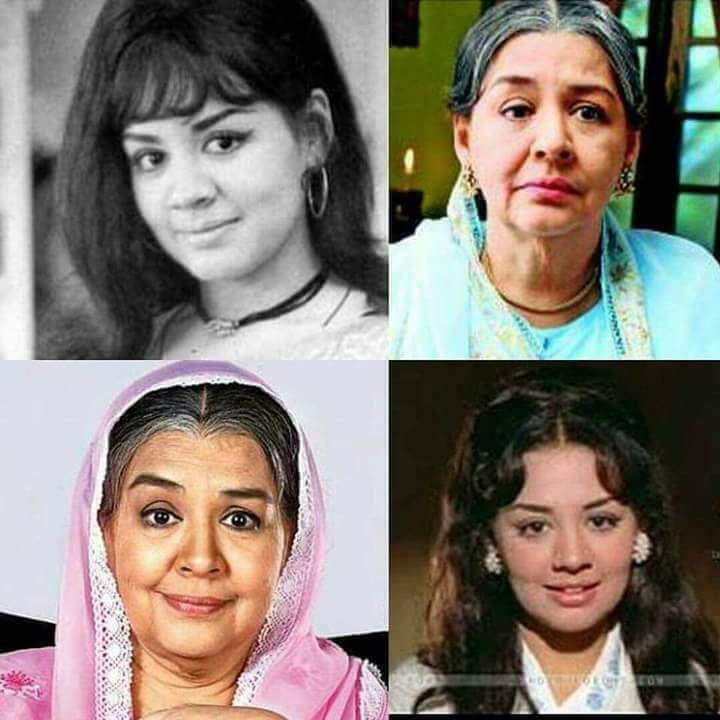 The accounts claimed that Farida Jalal died or the veteran actress is no more alive. There is no authenticity of the same, and it appears that the same is doing rounds on the social media. We have checked every single close contact of Farida personally. Making some extra efforts, we tried to find out the origination of the news which comes out to be a Pakistani twitter handle. The death reports turned out to be fake. Is Farida Jalal Dead or Alive? Our personal sources confirmed the news that actress is alive. Kamaal R Khan added a tweet on this issue which sparked up the fake news very quickly but that also proved hoax after checking the facts. The famous self-proclaimed movie critic later deleted the tweet taking the statement back. Farida is Alive, and We can confirm the same. It’s not the first instance when such hoaxes spread on social media like anything. Earlier a Pakistan-controlled self-claimed account of famous Indian actress claimed of accepting Islam which also comes out to be a hoax. Before her, there have been a lot of celeb victims of the death hoaxes on social media such as Yo Yo Honey Singh, Amitabh Bachchan, and Dilip Kumar. 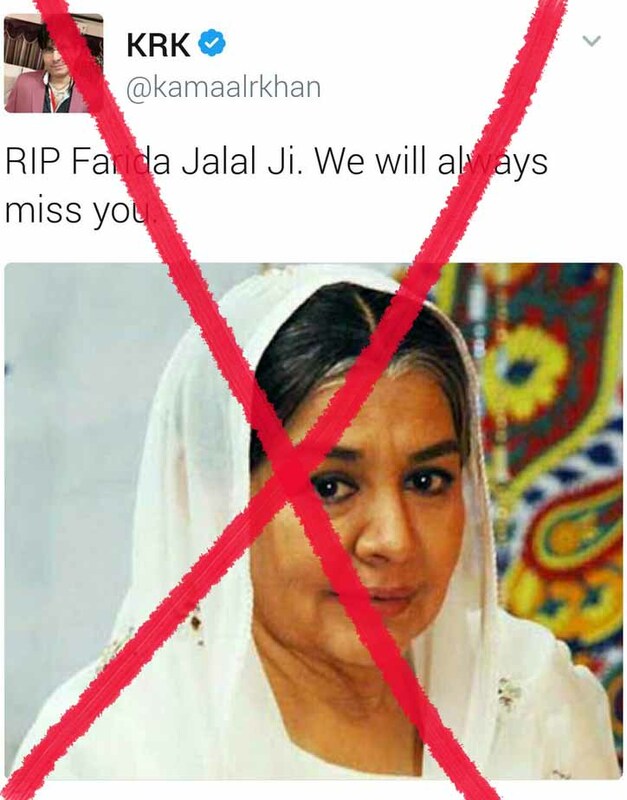 The death of Farida Jalal news spread like fire on social sites. The actress, herself, affirmed that she is all hale and hearty. She also said that she has no idea how come these baseless rumours started. Initially, she also laughed at it, but she got serious after 30 minutes as she started to received continuous phone calls about the same. She seemed a little irritated. Stay tuned to The Reporter Times for latest updates. Share the story with the link to slam the hoax and rumors. Allah pak un ki maghfirat farmaey.aur un k darjaat ko buland farmaey.aur qabar ki sakhtion ko aasaanion men badal de.aameen. Is it part of greater IS design of destabilisation?